Tanner Smith was attacked and killed by two pit bulls while visiting a home near Vidor. 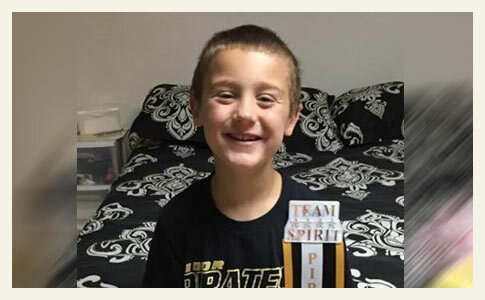 UPDATE 10/29/15: Funeral services were held for Tanner Jacob Smith on Saturday. Many photographs and comments have been left on his Celebration Wall. Tanner's obituary states that he had only been living in Texas for 9-months. Tanner was a native of Little Rock, Arkansas and was raised in Lincoln, Arkansas before moving to Vidor. The Orange County Sheriff's Office has not released any new information since we learned of the two previous attacks by the dogs. Tanner's family did provide more information about the attack to Inside Edition. The video and article published on October 21 explains that Tanner and his mother Ashley Phillips were visiting a friend whose father owns the home and the two pit bulls. Tanner's aunt, Melinda Greathouse, told Inside Edition that Tanner had been jumping on a trampoline in the homeowner's fenced-in yard. “When one of the dogs came running in the house and was covered in blood,” she said. That is when her sister ran outside and found Tanner's body next to the porch, she said. Ashley had believed Tanner was under the supervision of the homeowner while he was playing outside, but he was not there during the attack and no one heard Tanner cry out, Greathouse said. For readers who do not know, victims who are attacked in the face and neck region like Tanner was, cannot cry out. They are instantly silenced as soon as the pit bull executes the killing bite. This morning, Tanner's mother left a comment on our Facebook post. "I am tanners mother I was there when it happened he was on the trampoline two feet off the ground the next thing we knew he was gone... They drug him off the trampoline. 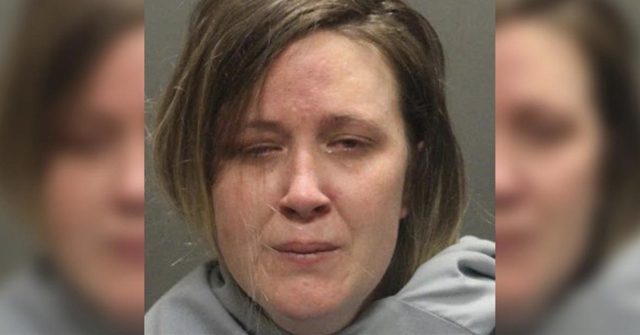 There wasn't anything we could do," Ashley Phillips stated. She added in another, "Karen is right, he wasn't able to make a sound why because the first bite killed him immediately." One can only imagine the horror of this scene. No information about the autopsy report has been released. Authorities have not identified the owner of the dogs either, despite two previous attacks and the fatal mauling of a child. It is unknown if criminal charges are possible. At what point will county officials admit that the local ordinance is insufficient, particularly regarding dangerous dog breeds? Simply calling the horrific and preventable death of Tanner, "a terrible tragedy" will not prevent new life-altering attacks. The family of Tanner Smith has set up a donation account through Wells Fargo Bank. Please send donations to "Donations for Tanner Smith" at account #5817642019 (branch locator). On Monday evening, 12 News published a follow up report. Resident Garrett Bean came forward and shared the story of his 9-year old daughter and her mother, who were both attacked by the same two pit bulls that killed Tanner October 18. The attack happened in February as his daughter, Shealyn Kendall, and her mother walked home from the grocery store. The mother said they were the same two dogs kept at the home on the corner of Aloha Street and Bahama Drive. As the two were walking by, both pit bulls and a chihuahua also owned by the homeowner, escaped under the gate and attacked them. Bean showed photos of his daughter's injuries after the attack. Bean also filed a report with the sheriff's office. He was told the dogs would be placed under the standard 10-day rabies quarantine. Then afterward, the dogs were returned to the owner. Bean said he is coming forward with the information now because it has happened again. Today, 12 News published another follow up. The same pit bulls attacked a woman's puppy last year. The Orange County Sheriff's Office also confirmed the details of Shealyn's attack. Neighbor Jessie Moore told 12 News that the two pit bulls belonging to her next-door neighbor attacked her dog named Rocko in March 2014. 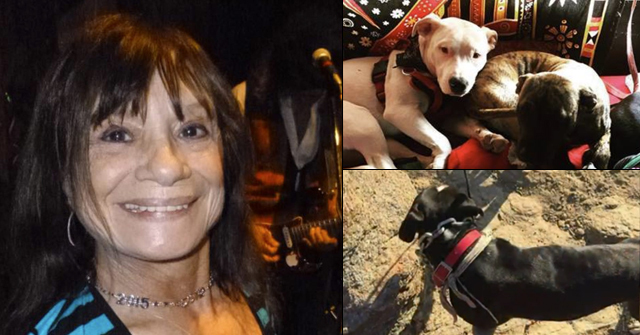 She had Rocko chained next to her neighbor's fence when the pit bulls dragged him underneath. The attack left one of Rocko's teeth permanently deformed. There is nothing elusive about the owners of these pit bulls. They were very easy to track down on Facebook, along with photos of their dogs. What must be addressed now are earlier reports by family members who said the pit bulls had been around children before, thus severely attacking 5-year old Tanner came as a total shock. The shock factor holds no water now that it is known there were at least two previous documented acts of aggression, one on a person and a pet. 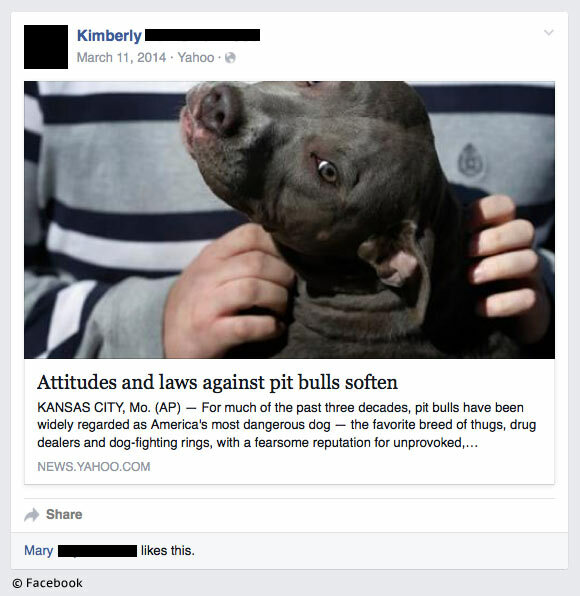 Just days after the March 2014 attack, one of the pit bulls' owners shared with her Facebook friends this particular AP article.1 Bam! This was right after her two pit bulls nearly ripped off Rocko's face. Notably also, the sole person who Liked the AP post had warned the owner in 2012, after the owner got a new chihuahua, that the new dog "was a keeper as long as you keep those pits away from him." Doesn't it make you wonder what happened to the previous chihuahua? 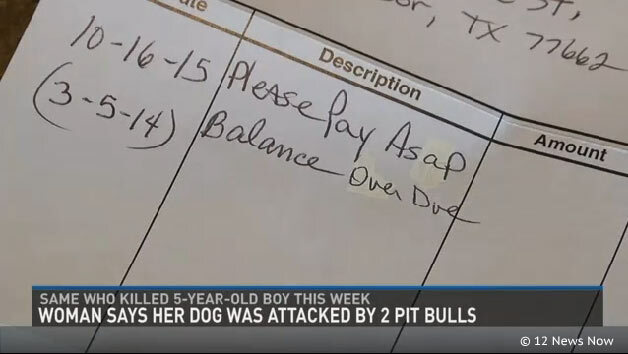 An autopsy is scheduled tomorrow for a 5-year old boy mauled to death by two pit bulls near Vidor, Texas on Sunday. Tomorrow is Tuesday, October 20, 2015 and would have been Tanner Smith's 6th Birthday. 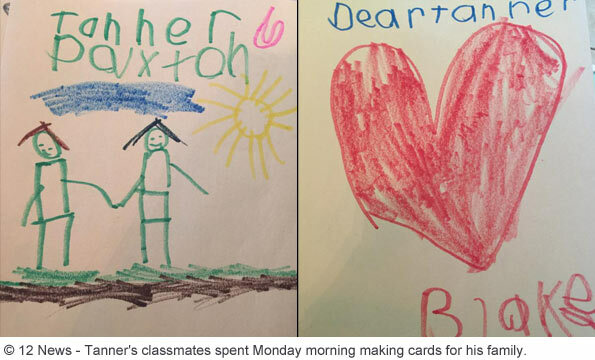 This morning his kindergarten classmates spent time making cards for his family. Imagine a teacher trying to tell a classroom of kindergartners that their classmate is never returning. 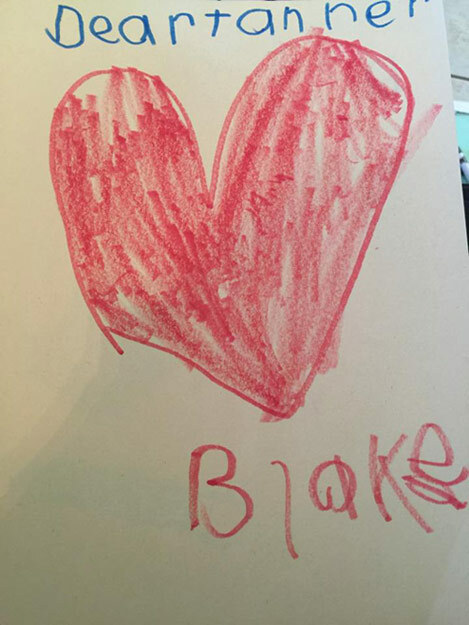 Dear Tanner, heart Blake, read one. His family is overwhelmed and overflowing in grief. Family members said that in Tanner's short life, he had already had multiple heart surgeries for a medical condition called hypoplastic left heart syndrome. They also said that Tanner's Scooby-Doo themed birthday party will still take place at a local park. The only difference is that Tanner will be celebrating up in the sky. "We know he's celebrating without us up there," Greathouse said. Family members said that donations can be made to the American Heart Association in Tanner's name. We remind readers what the founder of DogsBite.org told The Dallas Morning News columnist Steve Blow after a family pit bull attacked and killed a baby boy in Dallas last April, "They're always shocked." The simplest way to avoid these horrific tragedies is for parents to never allow their children to be near these dogs. Tanner Smith is the 141st child mauled to death by pit bulls since the CDC stopped tracking breed data in 1998. Parents, please make this wise choice. 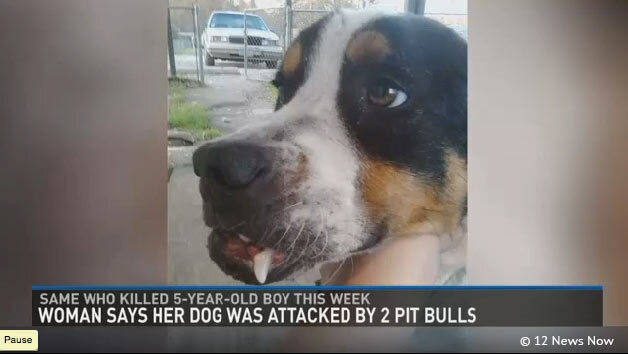 Orange County, TX - A 5-year old boy is dead after being mauled by two pit bulls Sunday evening. The Orange County Sheriff's Department identified the kindergartner as Tanner Smith of Vidor, Texas. 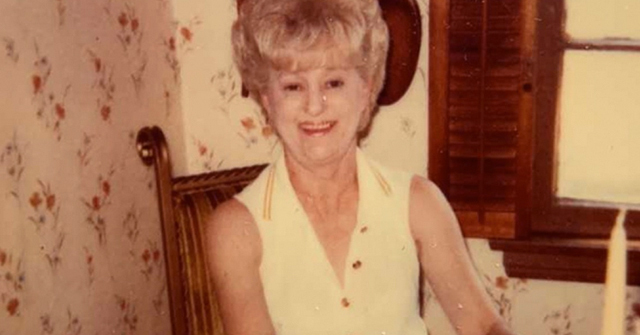 At the time of the deadly attack, Tanner was with his mother, Ashley, who was visiting a friend at a home in the 1700 block of Aloha Street near Vidor. Ashley believed he was outside with her friend's husband, but then learned the husband was not home, according to the sheriff's office. Once she realized the husband was not at the house, his mother went outside and discovered her son gravely injured by the two pit bulls. Deputies and EMS arrived on scene and began life saving measures on the injured boy. He was transported to a hospital in Beaumont and was later pronounced dead. When the friend's husband learned what happened, he quickly returned home and shot and killed both pit bulls. Tanner would have turned 6-years old on Tuesday. His grandmother, Melissa Phillips, said he was bitten 16 times, including a horrific bite to the main artery of his neck. The investigation is ongoing. So far in 2015, dogs have killed 26 Americans. 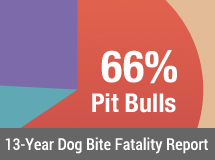 Pit bulls are responsible for 81% (21) of these deaths. 35% (9), of all dog bite fatality victims were either visiting or living temporarily with the dog's owner when the attack occurred. Of these deaths, children 7-years and younger accounted for 78% (7), and 89% (8), involved pit bulls. Texas leads all fatal attacks in 2015 with 5 deaths. Arkansas, Florida, North Carolina, Oklahoma and West Virginia follow, each incurring 2 deaths. Tanner Smith, 5-years old of Vidor, Texas, is the 470th American mauled to death by pit bulls. 2Subsequent updates to the 12 News article later revised this to "terrible shock." What in the Sam Hill is there to investigate? The facts are that pit bulls have been bred to attack without warning, and once they attack, you can say farewell to your life as you know it. And, unfortunately for this child's family, the farewell is forever. Another proud pit bull owner is confronted with cold, hard, unforgiving facts. How sad that an innocent had to pay the price for it. As I closed up shop and went to bed last night these thoughts took over my mind…"It's been over 2 weeks since the last mauling death.. it's time for another one…. but maybe the next one will never come. maybe it's over." This child was born with heart problems. He had many heart surgeries and had overcome so much. It makes no sense! 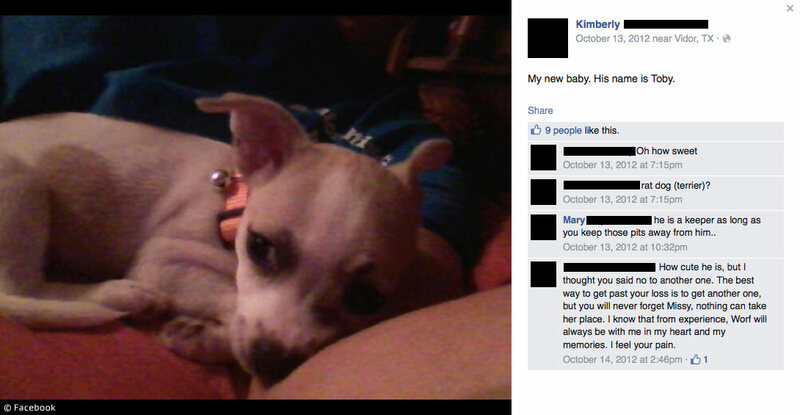 This is SO sad…..WHEN are they going to outlaw this breed of dogs? I can't imagine why anyone would want one of them! This was posted 7-hours ago. It is unknown how valid it is (she may have been told the wrong information). Sheila Greathouse-Woods I am Tanners great aunt. We have recently learned these dogs have attacked multiple times prior to mauling my great nephew to his death! The post has been updated to reflect that no criminal charges are expected. I have no words of comment other than words of sympathy for this young boy. Just stunned at the misery this worthless dog produces. Another heart breaking, completely preventable death. This poor baby. I do not see any stop to it, I am seeing more and more pit bulls in my already pit bull infested state. Last week I had the unpleasant experience of running into a "service pit" at my local Costco. The dog was labeled mobility assistance dog. Of course it was near right where I needed to go. It fixed its reptilian stare on me. The dog was pretty arthritic. Its owner picked up something to look at and then put it down. She said something to me about not wanting to cook the item. I said to her "you seem a lot more mobile then your alleged service dog". She laughed and seemed to agree with me. I went on my way. A full minute later this woman is hunting me down and wanted me to repeat what I said, which I did. I also added that no legitimate service dog trainer would use a pit bull. I forgot what she said next but I was trying to walk away from her this entire time. I did say to her as I walked away that pit bulls have a propensity to kill their owners. The next thing I know she is following me more and spouting off how the last dog she was bitten by was…a Chihuahua. I had to laugh at her and say oh yes a Chi bite was the same as a pit bull. Then she told me I needed to look at the Animal Farm Foundation, then started sputtering that she had her "civil rights" and I should leave her alone. I reminded her that she was the one that had sought me out and was still following her. That shut her up and she left. The nutters are as bad as their dogs. This dog had no business being in the store and there were a lot of children in this store and the lady had it on a loose lead of course. I wish for the day that dogsbite.org did not need to exist and that I would never see another new victim blog, but it seems to be getting worse-not better. Good for you!!! I would have done the same. People with these dogs need to know most normal people do not want to have to be exposed to them. Gee, pull the break stops out! ORANGE COUNTY – An Orange County family tells 12News their 9-year-old daughter and her mother were attacked by the same dogs that police said killed Tanner Smith. Garrett Bean tells us his daughter was bitten by the two pit bulls as the girl and her mother walked home from Dollar General in February. I was already upset seeing that another innocent child was murdered by 2 of these beasts, but right before his birthday. And his classmates made him a card after their teacher had to tell them that. This is heartbreaking! Tanner and his friends and family should be celebrating his birthday now, but instead a funeral is in their future. This should be reason enough for these maulers to be outlawed EVERYWHERE. The fact that people will still spout lies about their pits and bring them around children saying they're perfectly safe after hearing stories like this is disgusting, plain and simple. The only thing about this article that somewhat made me feel anything other than disgust is seeing that the grippers were killed. Thank goodness. Now we just need to have all bully breeds eradicated. I pray for this boy's family and friends. All I can say is thank you for continuing to document these predictable tragedies with such persistence. You have become the main source of real public health information on this issue since the CDC abdicated to the special interest lobby. I just found this site & I'm glad people are taking this subject more seriously. I've had my own experiences with pit bulls (one just last year) & it helps to know that there are supporters of the truth about these dogs. I see the faces of these fatalities & injuries & it breaks my heart to know that there are so many negligent people out there. Hopefully sites like this will open more eyes to the truth. Can you name the pit owners? Chasta, we are waiting to see how they handle themselves. The most recent article from Inside Edition shows they are being typical pit bull owners. Property records are public and the owners of the pit bulls' home has been clearly photographed and identified by the media as well as its location. Because the owners had knowledge of the dogs' viciousness, there may be a civil lawsuit. Traditionally, the media will not name owners in these cases unless there are criminal charges filed or a civil lawsuit. We do not have these restrictions, but nonetheless, we are waiting and watching further developments. I read the Inside Edition article as well. After finding out these dogs had a history of violence, it infuriates me they are not being charged. I am confused on whether the family friend Tanner and his mom were visiting were the dog owners. If they were, then that means their friends have not contacted Tanner's family since their beasts killed him? That would be correct Chasta. There is the added factor that apparently the man (who lived at the home and owned the dogs with his wife) who was outside with Tanner walked away at some point… There is a lot of finger pointing right now. Clearly, Tanner's mother had no idea about the history of the dogs, but the dogs' owners did. It is unclear how well the mother knew the dogs' owners, but Tanner had only arrived in Texas 9 months ago. His family is from Arkansas. It is not uncommon at all for owners of dogs that severely attack to never contact the victim's family, friends or otherwise, to offer condolences. This can be seen as an admission of guilt (AKA if civil a civil lawsuit is foreseen). Thank you for the clarification. I hope their names are spread all over. Public shaming seems to be the only recourse in most of these cases. These owners & their dogs are THE reason this child is dead. If pit advocates practiced what they spew they would be demanding these "bad owners" be prosecuted.